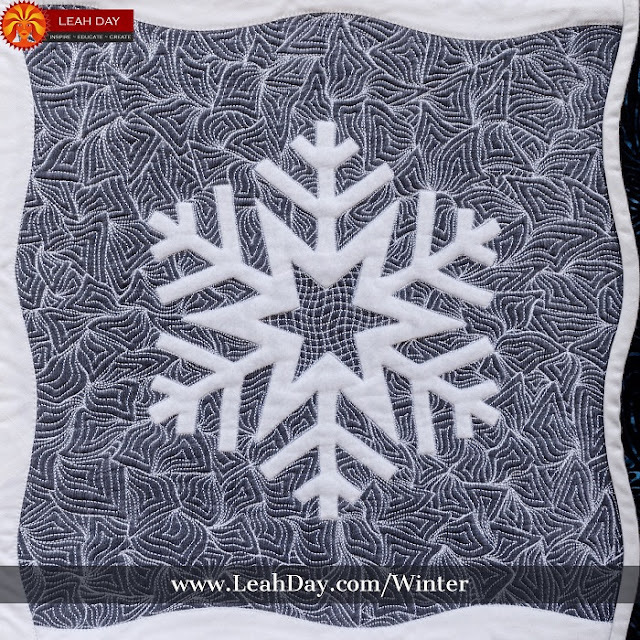 Click Here to find the quilt pattern for Block #1. The best part of the Friendship Quilt Along is we’re going to piece AND quilt the blocks together! 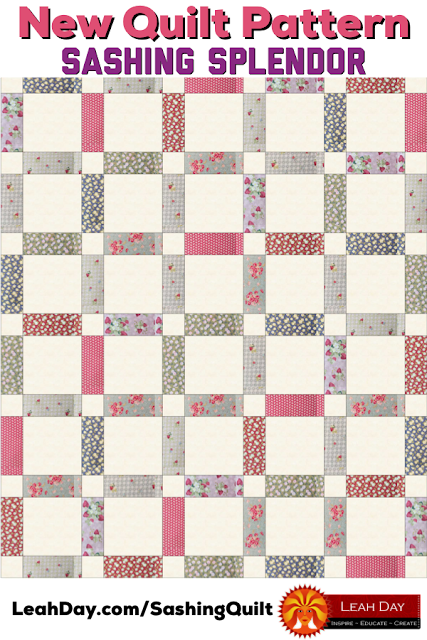 Be looking forward to the first quilting tutorial on December 10th. Click Here to find Block 1 of the Friendship Sampler Quilt if you’d like to get LOTS of practice piecing half square triangles! 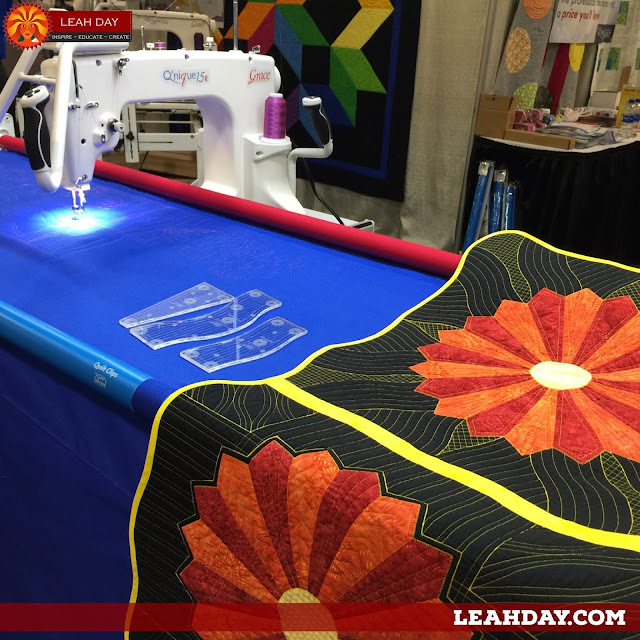 Click Here to learn more about the Grace Qnique Longarm I’m quilting on in this quilting tutorial. I love this machine because it’s very simple and reliable and helps me quilt so much faster. 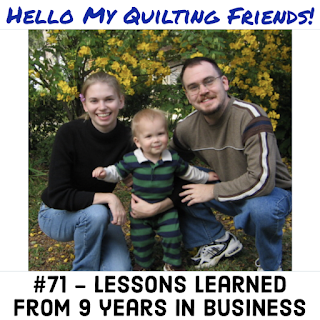 Affiliate: Click Here to learn more about Quilty Box! 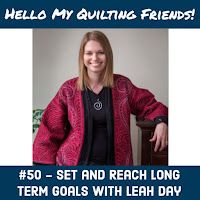 I shared three free quilt patterns in this video that will use the fat quarters included to create a really beautiful quilt. 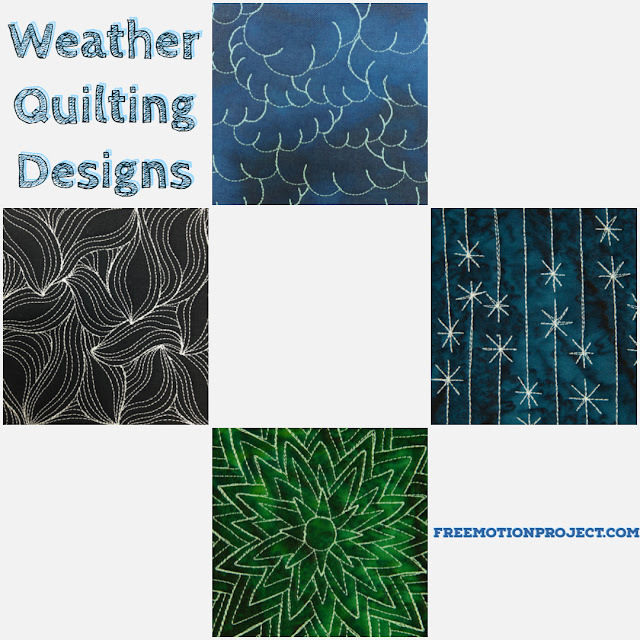 Click Here to find all my free quilt patterns. The Quilty Box for April has arrived and it's time to check out the beautiful fabrics and cool quilting gear that's included this month! 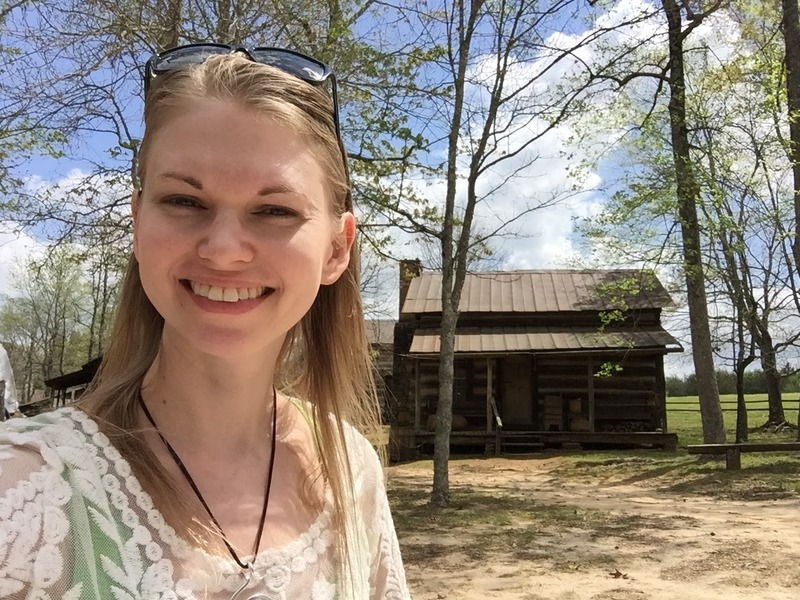 #Affiliate - Click Here to learn more about Quilty Box! 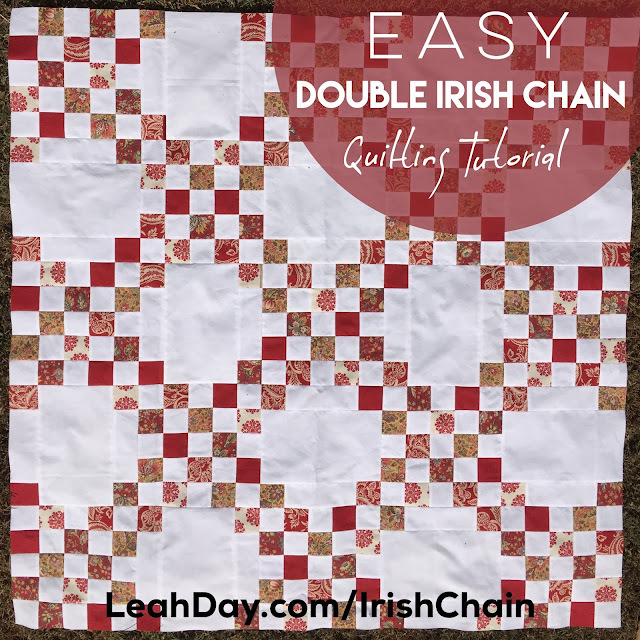 With the 6 colorful fat quarters included in this month's box you can create the Double Stripe Diamond Quilt or the Double Irish Chain quilt. If you pull just two more fat quarters of fabrics from your stash you can also create the Sashing Splendor Quilt. I recommend a bright red and yellow to make a balanced rainbow effect. 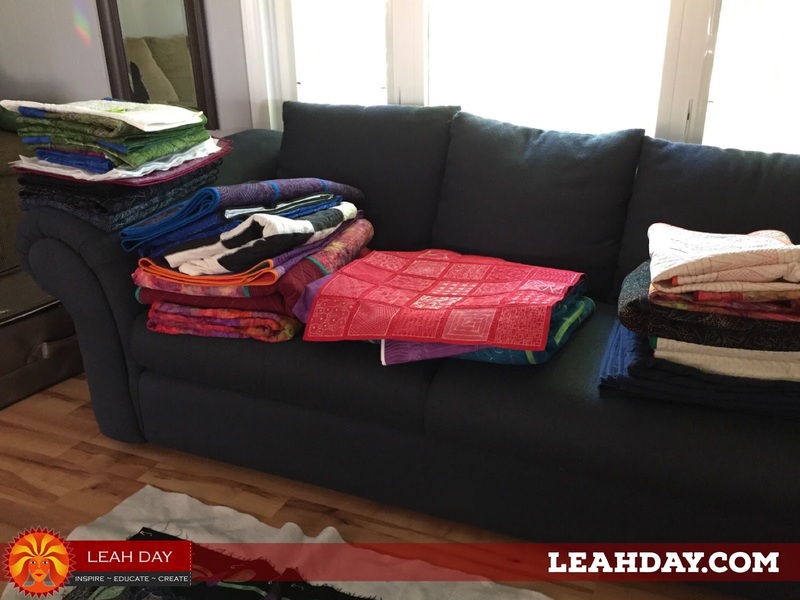 The Great Quilt Sort is in full swing and I've managed to organize, fold, and make decisions about most of the quilts in my closets. 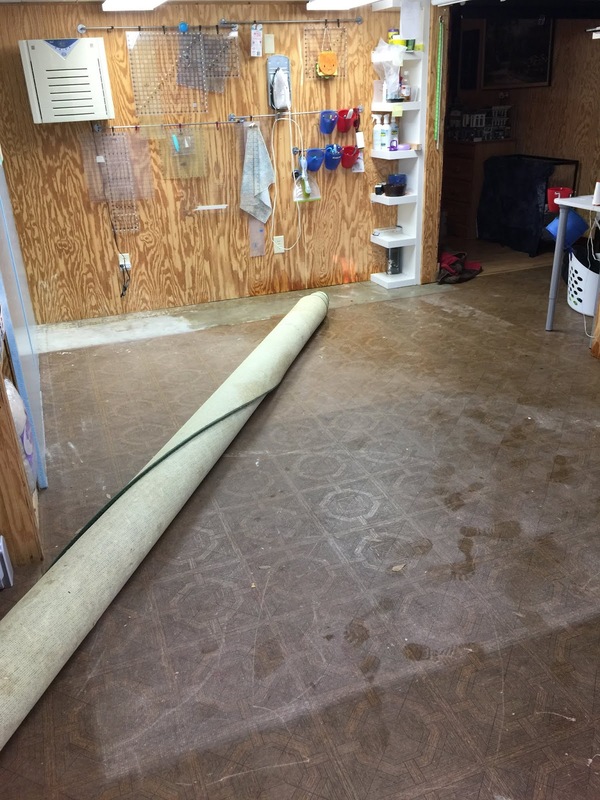 I started by giving a lot of quilts away. My in-laws and Dad took a few quilts and I gave a baby quilt away to a friend that's expecting. It's a very pink quilt so we'll cross our fingers she's having a girl. I hope you had a wonderful Easter! We had a very relaxing weekend playing video games. This was the first Easter I didn't have a basket full of candy and as weird as it is not to be chowing down on chocolate, I know I feel a lot better for it. So what's on my machine today? This beautiful rainbow quilt! Click Here to find the first quilting video in this quilt along. Whew! 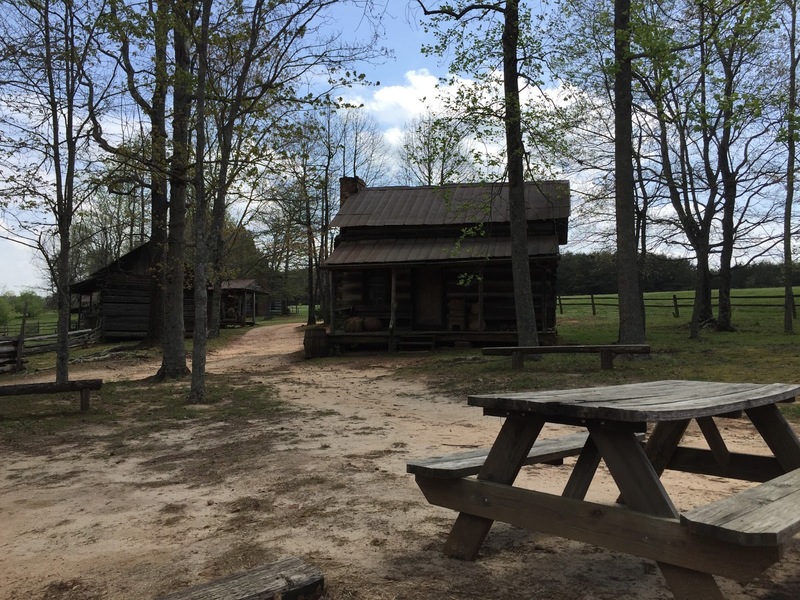 This weekend was such an amazing experience. I attended the VDTA / SDTA show in Charlotte, NC and hung out with Grace Company at their booth. 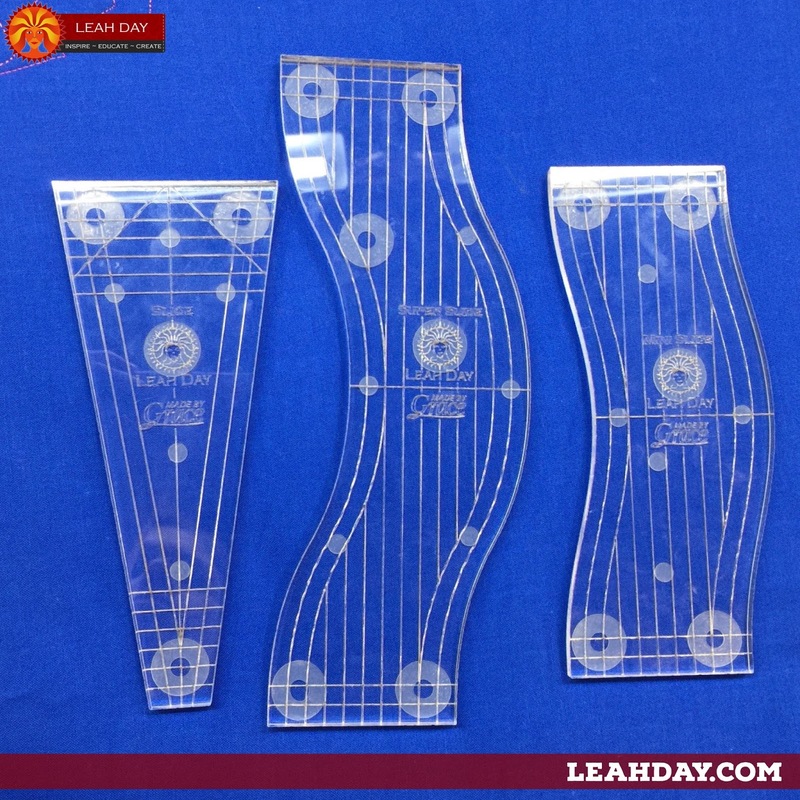 This is why I created the Midnight Sunburst quilt last week - to illustrate what you can do with the rulers we're making together! This has been one crazy week! 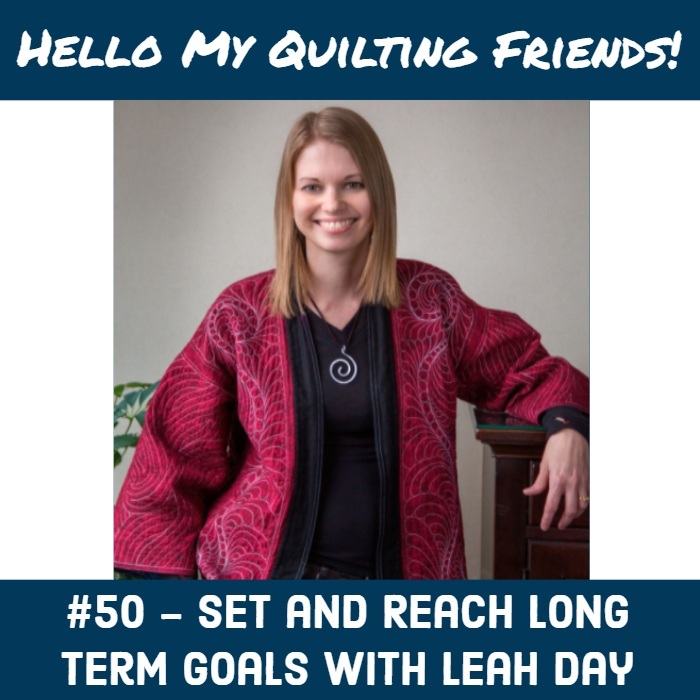 Changing the location of quilting tutorials doesn't sound like a big deal, but yeah, it's a big deal. 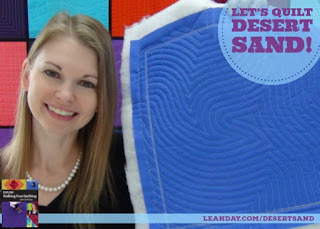 Click here to find the new tutorial: How to Quilt Desert Sand. I find that just being on the site and working on one page makes me want to work on another, then another. This is great because a lot of updating needs to happen there and it's high time I get it done. Click Here to find a set of pages I updated with lots of new goodies! 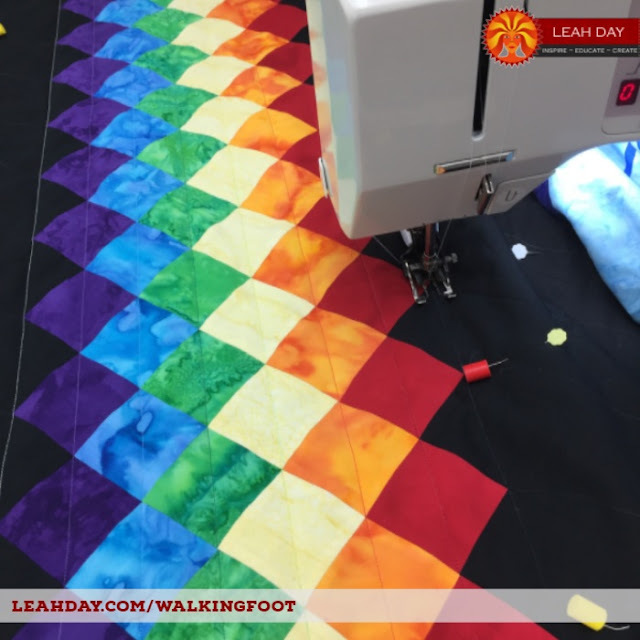 It's time for another fun walking foot quilting tutorial! 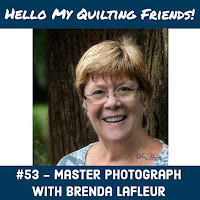 I'm changing things up and going to begin sharing all the new quilting tutorials on my website. It gives them a more permanent place to live and hopefully easier for you to find. 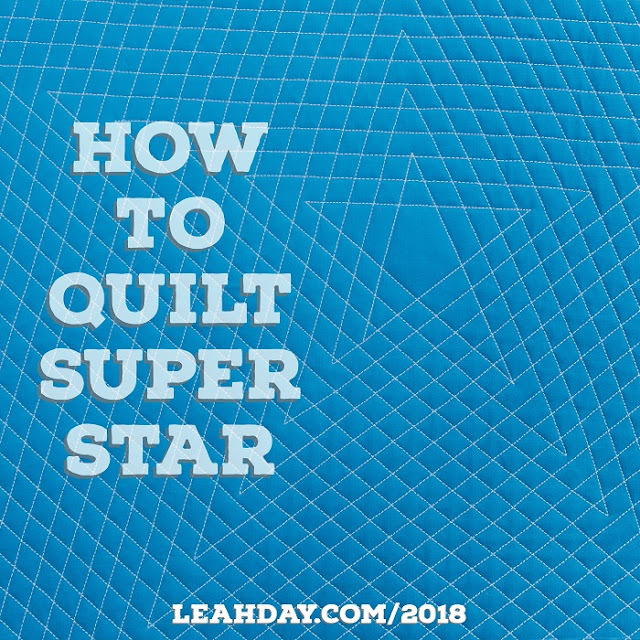 Click Here to learn how to quilt Super Star. 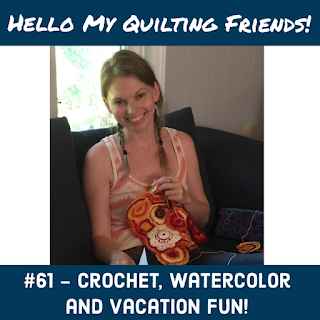 Let me know what you think of this new quilting tutorial format!